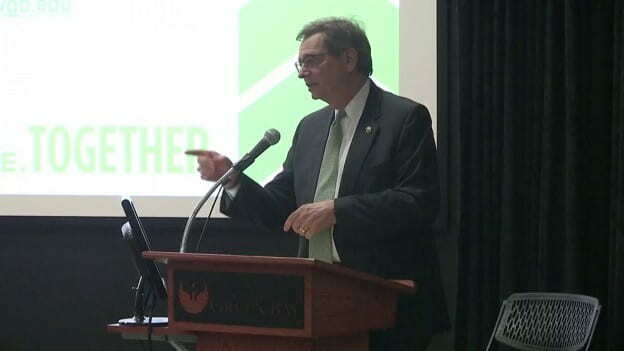 It was excellent news that UW-Green Bay leaders shared in the annual Business Meeting on the Green Bay campus (and streamed for branch campus personnel), Monday, Feb. 4. The University has shown enrollment growth for four consecutive years, with a tremendous jump in graduate program enrollment. Support from community partners and gifts from private donors demonstrate the priority that the local community is placing on its public university. Didn’t get a chance to attend? See the video or scroll through the presentation, below.